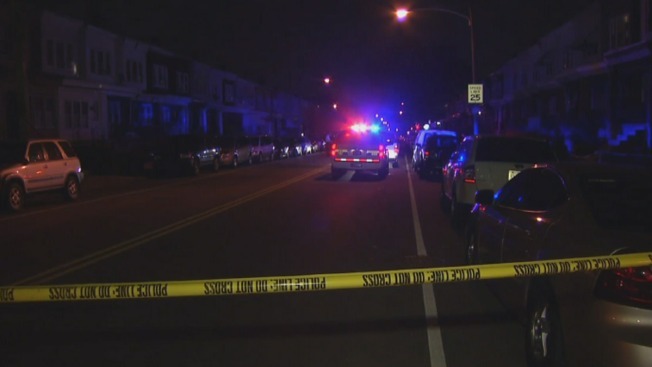 An alleged gunman is in the hospital after he was shot several times by police officers in the Olney section of the city. Investigators say the 35th District officers pulled over a GMC Denali on the 100 block of W. Champlost Street Wednesday night and frisked the driver, an unidentified 55-year-old man. As they were frisking him, the man allegedly began to struggle. Investigators say he then pulled a gun from his waistband and pointed it at the officers. Both officers fired their own guns several times, striking the suspect. The unidentified man then threw his gun on the sidewalk and was apprehended, according to investigators. He was taken to Einstein Hospital where he is currently in critical condition. Officials say the suspect may have fired a shot at the officers before they opened fire though this has not yet been confirmed. Police say they recovered the suspect’s semi-automatic handgun and a bag of marijuana he was allegedly carrying.